Keeley is a luxurious collection of reclining sofas and chairs that can be upholstered in the latest in quality leathers and fabrics. Its generous proportions , neat and precise tailoring plus attractive design details will make a welcome addition to any discerning living room. 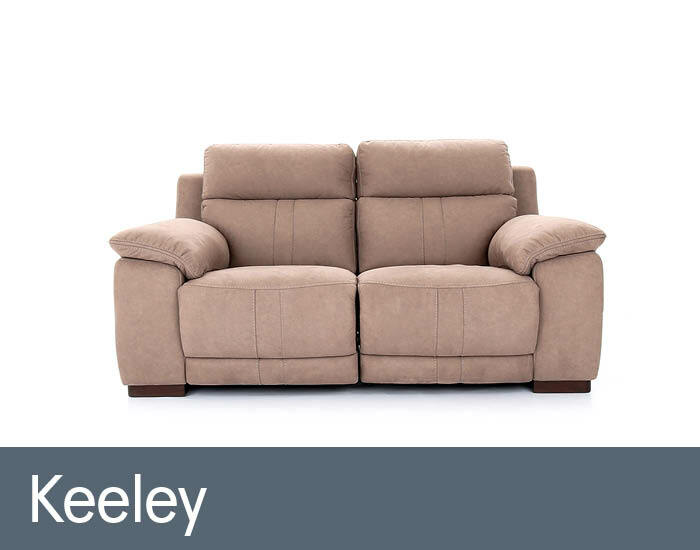 You can opt for static, manual or power reclining seats then relax in complete comfort with Keeley’s generous high backs and integral head support.